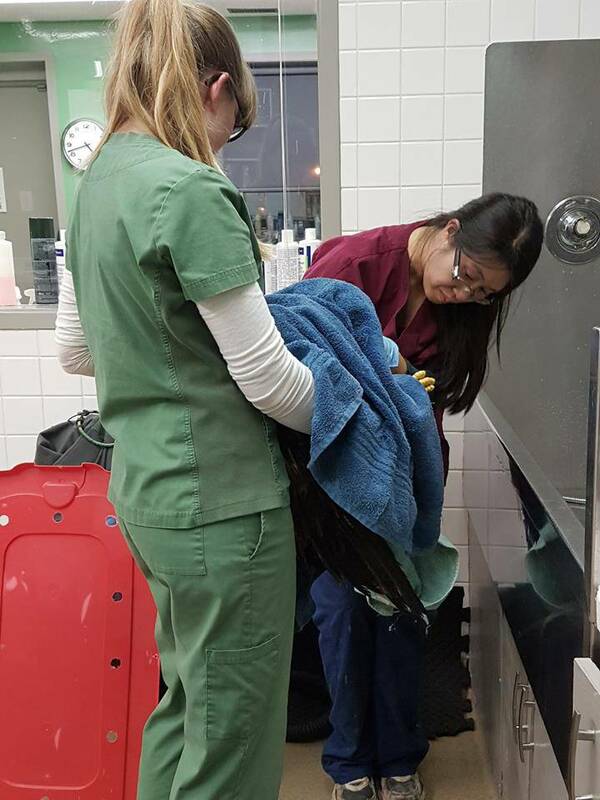 The bald was found completely covered in oil in Grand Rapids, Man. 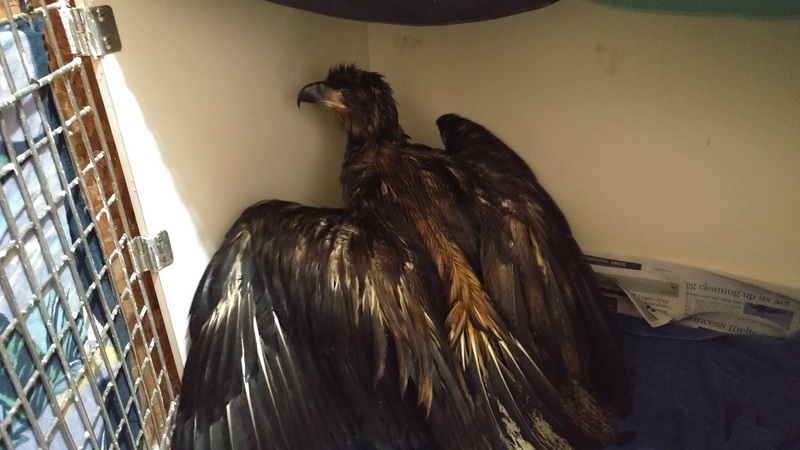 It was taken into Winnipeg, where veterinarians are caring for it before it will be released back into the wild. 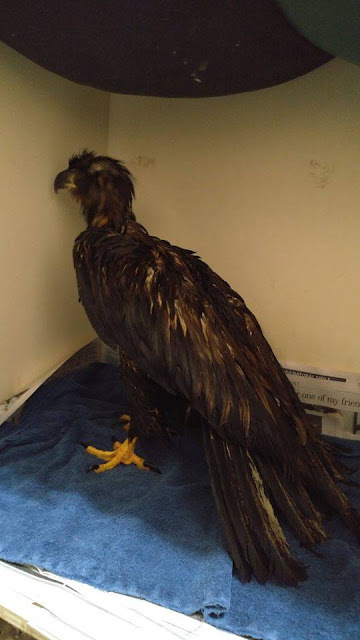 The Wildlife Rehabilitation Centre has been caring for the eagle since the end of November, when it was brought in. 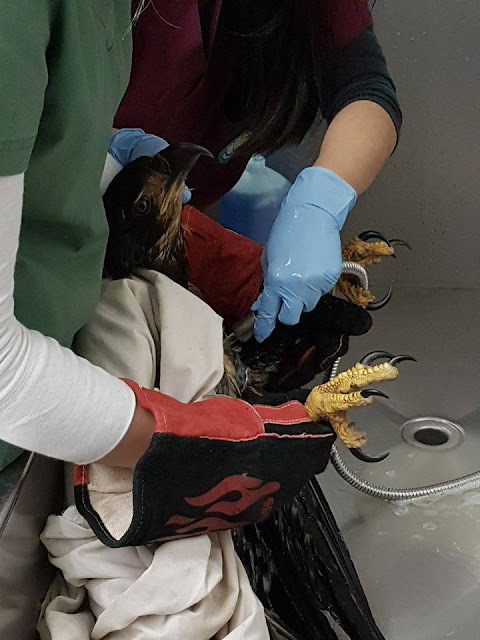 “Upon our examinations, the oiling was one of the worst cases we’ve seen, soaking deep into the feathers, down to the skin,” the Wildlife Rehabilitation Centre, stated on Facebook. When oil gets on birds, it can cause multiple problems, such as making it too heavy to fly and it mats and separates feathers, the centre said. The exposed skin does not allow the bird to properly insulate and keep warm. 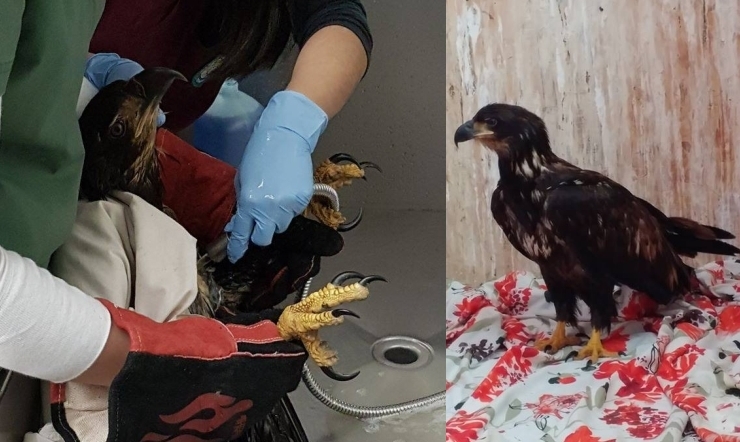 “We have been able to wash the eagle several times now and it will still take quite a number more to get all the oil off,” the centre stated. 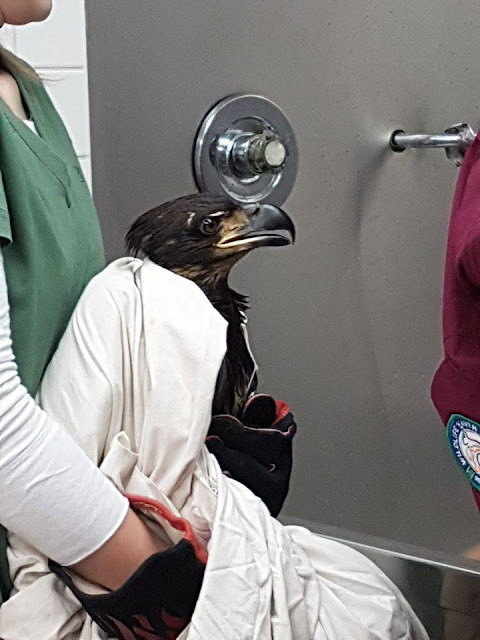 For now, this eagle is staying at the Wildlife Haven in a heated room. Responses to "Bald eagle found soaked in oil is rescued by wildlife rehabilitation center"